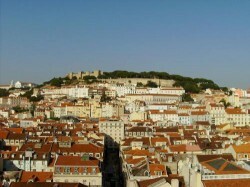 St George castle sits perched on top of the highest hill in Lisbon, right in the heart of the Alfama district of Portugal’s historical capital city. Originally constructed in the 5th century by the Visigoths as a fort, it was later transformed into a Moorish castle. It served as a Moorish royal residence until the Moors were expelled in 1147 by King Afonso Henriques. 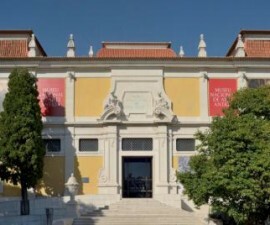 After this time Portugal’s royal family moved in, and here remained until the 16th century when another palace was constructed for them in Comercio Square. 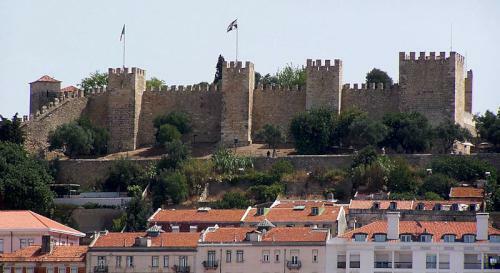 The castle earned its name of St George Castle when it was captured by King Afonso Henriques. Its dedication to the patron saint of England was made in commemoration of the Anglo-Portuguese pact, which was made in 1371. 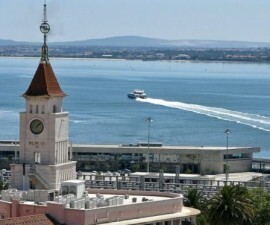 St George castle was constructed in a strategic position right at the highest point of the city. It was designed to be the final stronghold in the event of a siege. Originally encircled by a wall to form a citadel, the complex consists of the castle itself, some outbuildings including the remains of the main area of the royal palace, some lovely gardens and a large, terraced square which provides some delightful views across Lisbon and beyond. The main footprint of the castle is rectangular and it boasts no less than 10 towers along with a series of walls and staircases. The main entrance to the castle is via a 19th-century gate which is topped with the coat of arms of Portugal, complete with the name of Queen Maria II and the date of its inauguration – 1846. The gate provides access to the main square, the Praca das Armas, which is adorned with a bronze statue of King Afonso Henriques, along with a series of cannons. 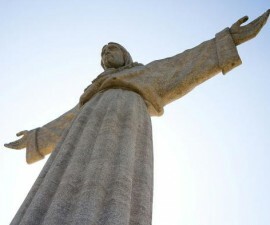 The statue of the king is a relatively recent addition, and is a copy of the 19th-century original which was made by Antonio Soares dos Reis, and which is located near the castle of Guimaraes, in the central Portuguese city. It is possible to climb all over the ramparts, up and down the stairways and to explore the ancient castle walls. The lush gardens are a delightful place to while away an hour or two and each and every one of the towers provides lovely views over different areas of the picturesque city below. The castle is accessed by road from downtown Lisbon, and makes for a lovely half-day trip on foot if you have plenty of energy in your climbing legs. 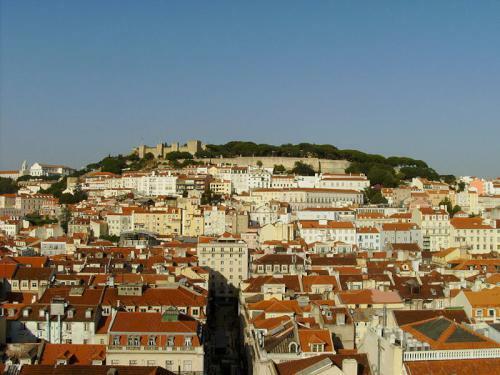 One of the benefits of making the journey on foot is that you have the opportunity to take in the charming surroundings of the winding streets that weave their way up through the Alfama neighbourhood to the castle at the summit of the hill. If your legs aren’t up to it however, it is possible to take a taxi or minibus up or down (or both). Note that refreshment facilities at the castle are limited, although the ancient walls and gardens make the perfect spot for enjoying a picnic in the shade on a balmy summer’s day in Lisbon.